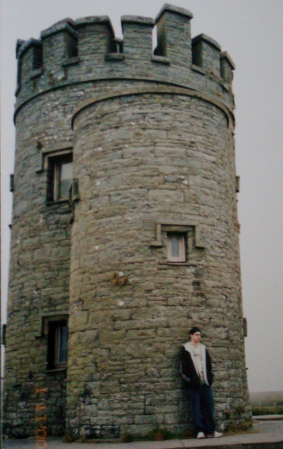 Ten years ago this month much of my extended family was eagerly awaiting a planned trip to Ireland. Mom would travel with the boys and I, we would meet my brother and sister-in-law in Dublin. It was a wonderful trip and we still bring up highlights today, particularly poignant because mom died later that year. Mom did most of the actual planning – she had been to Ireland twice already herself and she had more time. I didn’t really care too terribly about specifics, I had just always wanted to go. I did want to see a castle (and saw the outside of several, but we went in off season and most were closed, so a reason to plan a follow up trip one of these days). There is plenty of research that gets touted that tells us anticipation is better for us than the actual event. Planning and preparing, imagining how it will be, having something other than or regular routine to capture our minds – this is powerful stuff. I am good at planning for the practical both personally and professionally, but I am woeful at planning for enjoyable future activities. I get the idea to go somewhere and will start to read about the place, or I hear about an event that I probably would like; but then I get bogged down in the logistics or something else comes up to claim the money I would have put toward the experience. When I do manage to get out of my regular routine, I am rarely sorry. But it is often last minute, therefore no boost from anticipation. Any suggestions to push through my planning barrier would be highly welcome. Book the trip. Do something to lock yourself in. Maybe not actually booking the trip, but putting it on your calendar, tell a few friends, anything to make it harder to back out. I don’t talk from experience, I tend to mainly travel for business, but once I start talking about travel, I tend to go through with it. You have a good point. I did try that after the SAP implementation I participated in a couple of years ago. Unfortunately I ended up having surgery shortly after instead of taking a trip to celebrate. I’m working on a couple of friends to plan a trip in a year or so. Sorry to hear that your plans were interrupted. That always makes me want to plan less, but I guess that isn’t a good response. Good luck with the next trip.